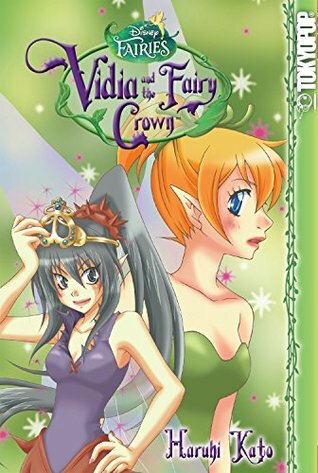 Mini Review: Vidia and the Fairy Crown by Haruhi Kato! When Queen Clarion's crown goes missing on the night of Pixie Hollow's biggest bas, all fingers point to one thief - the rude and standoff-ish fairy Vidia! To keep from being banished from Pixie Hollow forever, Vidia goes on an outrageous hunt for the crown that takes her from one end of Neverland to the other. Can she find the crown in time to save Vida's reputation. I love Disney. Love love love love it. I'm a big fan of their novelizations and manga adaptations as well, so I was really happy to pick this one up. It's a pretty cute book. The artwork isn't my favorite, but it's pretty cute. The story is really simple and a bit lacking in my humble opinion, but I really liked the attention that was paid to the characters. You really got to know them and got a lot of information about them, and got to watch them change over the course of the story. 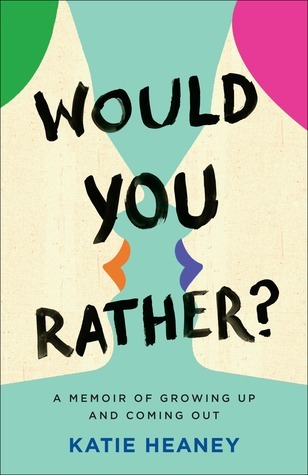 I think it'd be a good book for the pre-teen age, though it's certainly enjoyable beyond that. If you like Disney or Tinkerbell, or even just fairies, it may be worth checking out. 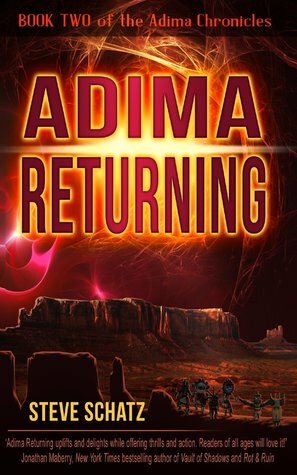 Personally, I enjoyed it well enough but it's not something I'll likely re-read in the future. HOLIDAY COUNTDOWN Review: Holiday Cookies by Elisabet Der Nederlanden! This instant holiday classic is packed with 50 recipes, each gorgeously photographed and meticulously tested, along with dozens of decorating and packaging ideas. Filled with reimagined favorites like Giant Molasses Spice Cookies and Hazelnut Sandwich Cookies; confections like Peppermint Bark, Smoked Almond and Cacao Nib Brittle, and Dark Chocolate-Hazelnut Fudge; and detailed instructions for gorgeous gingerbread houses, cookie place cards, and edible ornaments, this is a cookie book like no other. Because the recipes are easy to scale up or down, Holiday Cookies is perfect for cookie exchanges, gift-giving, and just enjoying throughout the season. From a veteran baker and recipe developer, each cookie in this collection is guaranteed to be a stand-out, and destined to become your new Christmas classic. This book is exactly what you want when you think of the words "Christmas cookie recipes". The book is divided into sections including an introduction with tips, Very Merry Classics, Cookie Exchange Party, Warm Holiday Spice, Around the World, Holiday Confections, Decorated Delights, and a final note about special ingredients and resources. It's a bit muddy of a way to organize the book (what is a classic? what is easily exchanged?) but it's effective enough. There are SO MANY recipes in this book, and 9 out of 10 of them sound fantastic to me. The steps are very straight forward and easy to follow, making this book approachable to those who might only bake come the holidays. The variety is really wide as well. There's tried and true classics that you already love, and ones that (at least I) have never made or even eaten before. If someone in your family is picky, or has allergies, there's bound to be a recipe in here that works for you or that is easily substituted. Not to mention that the photography is absolutely gorgeous, and very festive. Some of the recipes that sounded the most delicious to me include Fruit Cake Shortbread, Thumbprints with Spicy Plum Jam, and Matcha Chocolate Bark with Berries and Coconut. This is a great book for someone hoping to have a little bit more "pop" with their holiday baking. Spotlight, Excerpt, & Giveaway: The Right Kind of Reckless by Heather Van Fleet! I’m in love with a woman I can’t have, and there’s absolutely nothing I can do to stop myself from falling. The problem? Her brother’s my best friend. What’s good to know?͟ I frowned. "That you still owe me." 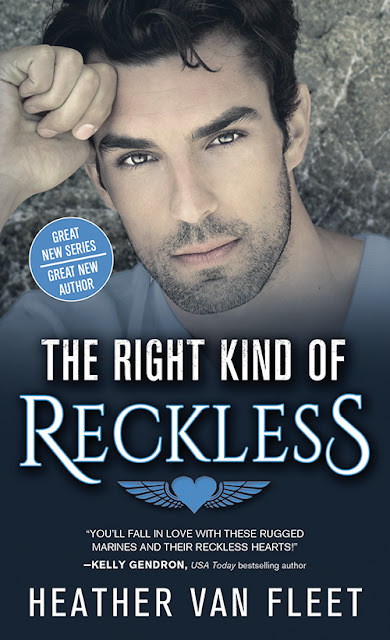 Contemporary romance author Heather Van Fleet is a stay-at-home-mom turned book boyfriend connoisseur. She’s a wife to her high school sweetheart, a mom to three little girls, and in her spare time you can find her with her head buried in her Kindle, guzzling down copious amounts of coffee. 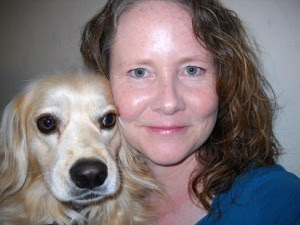 Heather was born and raised in Moline, Illinois, where she lives with her wonderful family. When you don’t have a Mediterranean breeze behind you, finding local ingredients for complex recipes can make it difficult to integrate Greek food into your lifestyle. With Opa! The Healthy Greek Cookbook you can spare yourself the odyssey of traveling just to eat fresh and flavorful food. 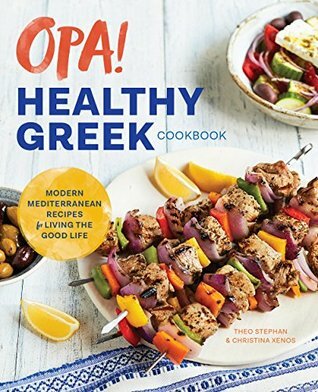 Featuring easy-to-find ingredients for simple recipes, plus a regional overview of Greek food, Opa! The Healthy Greek Cookbook leads you on a culinary journey towards an appetizing and healthy lifestyle. Recipes in this Greek cookbook include: Kalamata Olive Spread, Greek Potato Salad, Spinach Rice, Vegetable Moussaka, Shrimp Santorini, Spinach and Feta Stuffed Chicken Breasts, Greek Yogurt Brandy Cake, and much more! Join Greek chefs Theodora Stephan and Christina Xenos as they share their favorite recipes for you to feast on with Mediterranean flare in Opa! The Healthy Greek Cookbook. Greek food is right up there in my list of favorite cuisines, perhaps only rivaled by Japanese food. Because of that, I'm always open to learning new recipes. I don't have any charming little old grandmothers to inherit Greek recipes from on account of being Polish- I count on cookbooks like this one! Overall, this book has a lot of really tasty things for a lot of different diets. The book is divided by course type, including the sections: Understanding Greek Cuisine, In the Greek Kitchen, Mezzethes, Salads & Soups, Beans Rice & Pasta, Vegetable Mains, Seafood Mains, Meat Mains, Desserts, and a few finishing sections like a glossary and a menu planner for events and holidays. This is an easy way to find anything you need in the ook. "Understanding Greek Cuisine" is a section that's a nice little 101 section on Greece and their food. It covers some basic culture information and history, information about the various regions and islands of Greece, common flavor schemes, and some of the natural health benefits. It's a good pocket of information to have if you've never had to cook Greek food before. It's written in a charming tone filled with stories from the two authors, so it's full of a lot of facts, but it's easy to get through. The "In the Greek Kitchen" gives a nice little run down of common ingredients (and what they are), equipment used, and brief definitions of different cooking techniques. This section makes it clear that this book is approachable to even the beginner cook. And then of course, are the recipes themselves. I found them to be incredibly well written. Each recipe gives the name of the dish in Greek, as well as in English, which I think is a nice touch. There's a little paragraph that tells a little about the recipe or a little anecdote about why it's included. Some were sweet, some were funny, and some were just plain interesting. In addition, each recipe has vital diet information; it's labeled as being vegetarian, nut-free, gluten-free, etc. This is super nice for people with diet restrictions, because you know just by looking at it if you can have it. There's also caloric/nutrition information, storage tips, and good advice on how you can substitute ingredients throughout. The steps are numbered and short and sweet, making them easy to follow. I also appreciated that the recipes might call for something a bit harder to find, like say kefalotiri cheese. Instead of just assuming that everyone has access to that, it suggests other, more common cheeses that will work, like Romano cheese in this instance. As someone who doesn't have a wide variety of grocer options, it's appreciated. When a more complicated technique is used (like for wrapping grape leaves), there's little step by step drawn illustrations to help you out. What disappointed me about this book is the lack of photos. There are some, yes, and the ones that are included look delicious. However, I've never made 90% of these dishes before. It'd be nice to have a reference to see if what I'm doing actually looks like what it's supposed to. I'm way more of a visual person than a literary one, so in that regard I think this book is lacking. Anyway, back to the positives. There are so many amazing sounding dishes in this cookbook that it's hard to pare it down to just a few to highlight here, but I'll try my best. Some of the dishes I most look forward to include: Savory Baklava Rolls, Octopus with Figs and Peaches, Feta Crab Cakes, and Olive Oil Ice Cream with Feta, Cinnamon, and Basil. All in all, I'm really happy with this book. If you've got food allergies, or are vegan or vegetarian, there are quite a few recipes in here for you, and more than are pretty easily adaptable. It's approachable with realistic ingredients, and full of plenty of recipes for those looking to lighten up their diet or simply try more Greek recipes. From the award-winning author of Princess Princess Ever After comes The Tea Dragon Society, a charming all-ages book that follows the story of Greta, a blacksmith apprentice, and the people she meets as she becomes entwined in the enchanting world of tea dragons. This is the best graphic novel that I've read in 2017. I absolutely loved it. For me, the most important part is of course the artwork. The aesthetic is adorable. It's a lot of kawaii, pastel type illustrations. It catches the eye and is well done. The tea dragons- there are different types of tea dragons, to match different types of tea of course- are the absolute cutest. They are reminiscent of Pokemon almost. I want stuffed animal versions of them, to be completely honest with you. In addition to the artwork being visually appealing, the drawings are well paired with the text, so when blended together, it goes nicely. Which brings us to the text, naturally. 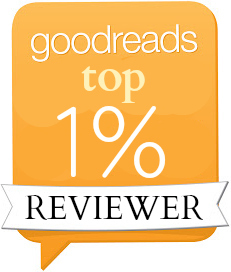 It's a heartwarming, feel good sort of book. I was very much more upset than I expected when I ran out of story and pages. The tone is very sweet, and very cozy. It feels almost like a bed time story, it's playful but has a focused plot, and has characters that you want to know more about as the night wears on. 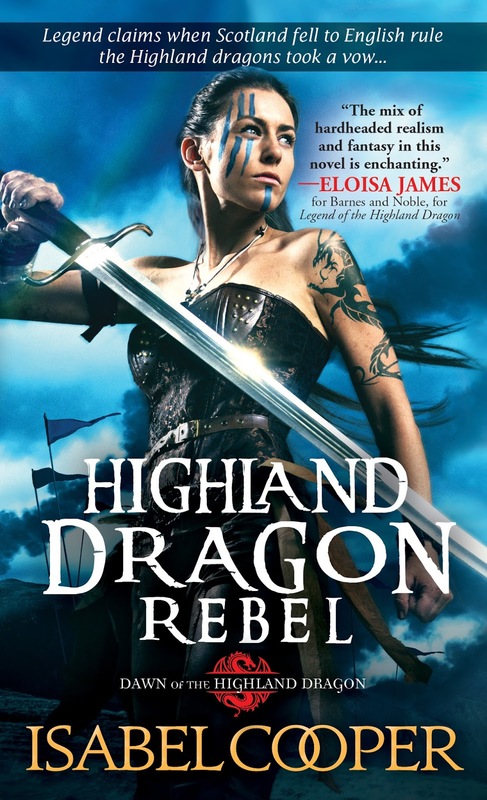 So many different types of characters are represented in this book, without making a fuss. It's simply "these folks are all together" and that's sort of beautiful in a way. There's LGBT representation, disability representation, different skin tones and even different species all harmonious in the same place. 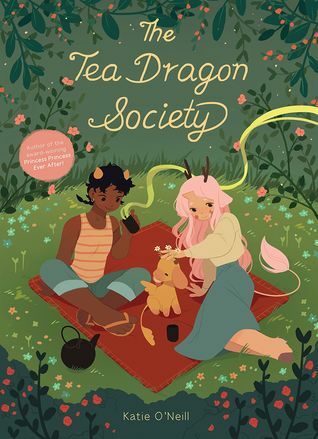 This is a great book for those who love either dragon or teas, as well as kawaii style artwork. And of course, children who enkIt's a quick read but it has lovely characters and a charming plot. Discover how to use the many faces of the dark goddess to navigate the process of deep and rewarding change. This practical guide looks at the misconceptions surrounding dark deities and encourages you to draw on the power of the dark goddesses to work through aspects of yourself or your life that you wish to change. 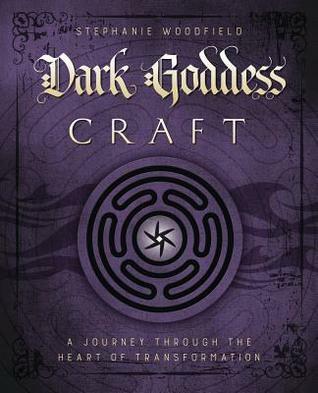 Organized into three sections--the descent, challenge, and rebirth--Dark Goddess Craft guides you into your own darkness and helps you emerge renewed. Stephanie Woodfield presents the goddesses you will meet along your path of transformation and explains each one's role in helping you. This book will light your way through the shadows and show you how to become the best version of yourself. This book is fascinating from cover to cover. It's interesting and soothing, enlightening and thought provoking. This is a Llewellyn Publication that I would happily place on my spirituality/pagan shelf, and it is a book that I will almost certainly read again. The book is divided into four sections, not counting the expansive bibliography and index at the end of the book. These sections are: Who is the Dark Goddess?, The Descent, Challenge, and Rebirth. Part one of this book covers a sort of background information chapter. There's information about the concept of what it means to be "dark" and how goddesses are looked at both in the past and the present. There's a lot of clearing up of misconceptions that arise when the phrase "dark goddess" is heard, such as the lack of evil intentions or the devil, things like that. In short, it's like a nice little intro course. Dark Goddesses 101. It's what you need to know about the subject, and the deities, before you continue onward down the path of this book. If you're pretty well versed in the subject, it serves as a nice refresher course. Part two, The Descent, covers goddesses that are associated with the afterlife. Or more specifically, as you might have gathered from the title (of both the book and the chapter), goddesses that are associated with the underworld. Part three, Challenge, covers more of the goddesses. But this time around, it is the ones that are associated with overcoming obstacles and getting ahead in life. The final part, Rebirth, covers more goddesses still. Though in this part, they are the ones who are most commonly associated with the ideas of both transformation and independence. This book contains so much information and celebration. There are rituals and prayers, there are devotionals. 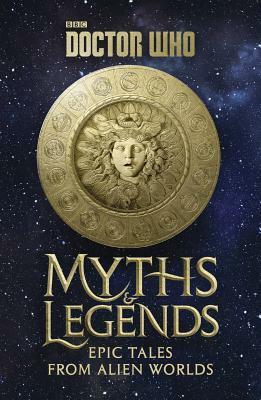 There are stories/myths for each and every goddess that is mentioned throughout the course of the book. I was very pleasantly surprised by the wide variety of goddesses that are in here. Generally speaking, most books I pick up deal mainly with the Roman and Greek pantheons. Especially when it comes to the underworld. I was expecting a ton of Persephone with maybe a bit of Hecate thrown in (sigh, my poor underrated Hecate). But these are global representations. Admittedly, I hadn't even heard of some of them before. The cited works section alone is worth a look at, it's clear that the author did her research and feels strongly about the topic. This is part history book, part religious book, part motivational book, and wholly full of engagement and interest. If you are of this spiritual/religious/pagan path, and especially if you walk the nocturnal path, this is a book I think that you'll enjoy. Bake exquisite cookies, bars, and doughs perfectly every time with Sally's Cookie Addiction. A world of baking wonder awaits you and all the lucky people you’ll share them with. Are you ready to sink your teeth into Brown Butter Toffee Chocolate Chip Cookies? How about Peanut Butter Nutella Swirl Cookies or Pumpkin Spice Sugar Cookies? Featuring a mouthwatering selection of cookies, cookie bars, cookie dough dips, slice-and-bakes, no-bakes, and more, Sally's Cookie Addiction features dozens of exciting flavors, including chocolate, butterscotch, peanut butter, sugar, coconut, lemon, s’more, and oatmeal, oh my! The best part? Sally's Cookie Addiction, Sally will tell you how to make each and every cookie in the book ahead of time. So, if you want to start preparing for the holidays, or if you just like keeping cookie dough in your freezer for those critical cookie emergencies! 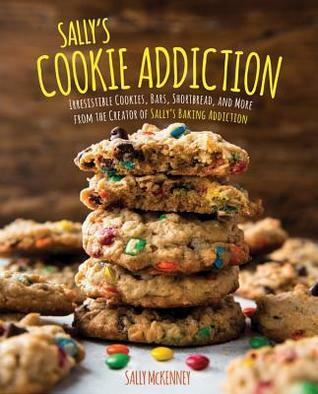 Complete with tips on how to bake the perfect cookie and gorgeous photography, Sally's Cookie Addiction is the only cookie book you need on your shelf. Get ready for your kitchen to be the most popular room in the house while the smells of Warm Chocolate Chunk Skillet Cookies, Lemon Crème Sandwich Cookies, and Soft-Baked Sugar Cookie Bars emanate from the oven! I love baking. And, I especially love baking cookies. They're my ace in the hole, my first go-to. I'm constantly on the lookout for new recipes to add into my repertoire. Plus, the holidays are coming up, when my need to bake goes into overdrive. All in all, this is a solid book that's chock full of cookies. The book is divided into chapters that are mostly flavor or ingredient based including: introduction/tips, Family Favorites, All About Oats, Happy Holidays, Shortbread and Slice and Bakes Galore, The Sprinkle Chapter, Nuts About Nuts, Serious Chocolate Cravings, and Find Your Flavor. Ultimately, this is a bit of a clunky, unorganized way to sort cookie recipes. "Find Your Flavor", "Happy Holidays" and "Family Favorites" are all pretty vague, wide categories. The rest of them make sense, but those listed are a bit disjointed from the rest. The tone also gets a little condescending at times. There's a big push about how substitutions are usually why people's cookies don't turn out, and recipes are there for a reason. Pretty opposing to most cookbooks, which encourage creativity and adapting. There's also the use of the phrase "it's a no no". This is a cookbook that isn't specifically geared towards kids- really? No no? After these discouraging bits, the book goes along a lot more smoothly. There's a lot of helpful hints as you go. There's advice on how to make your cookies softer, and how to decorate better, and things like that. It's much appreciated and helpful for sure, especially for beginner or seasonal bakers. There are a lot of recipes in this book, and also a LOT of photos. I love when a cookbook has a photo of every recipe, and this book does just that. The recipes are written in an approachable style, with simple language and short, easy to follow steps. There's a really wide variety of cookies here, from the super sweet, to the spicy, to even cookies that your dog will enjoy. Some of the cookies that sound the best to me include Autumn Spice Oatmeal Cookies, Chai Tea Spice Shortbread, and Cherry Almond Coconut Macaroons. 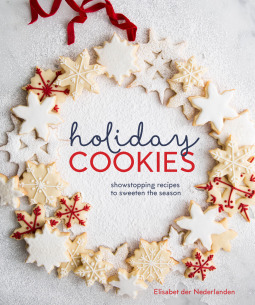 This is a great book for cookie lovers and for the holidays. Once you get past a few speed bumps, it's easy to follow and full of new recipes to try. Matcha teas and lattes have become a staple of every coffee shop and health food store. A beloved ingredient in Japan for generations, it is a powdered green tea that is rich in nutrients and antioxidants, and gives a slow-release caffeine boost through the day. Praised by everyone from Ella Woodward to the Hemsleys, one glass of matcha is the equivalent of 10 glasses of green tea in terms of nutritional value and antioxidant content. But there is so much more you can do with this miracle ingredient. Packed with over 50 recipes for smoothies, soups, main meals and more, Meet Your Matcha will allow you to unlock the potential of this brilliant green ingredient. From a Matcha Sushi Salad and Matcha Chicken and Ginger Dumplings to Breakfast Smoothie Bowls or a Dark Chocolate and Matcha Layer Cake, these delicious dishes will let you make the most of your matcha. Matcha is one of my favorite ingredients, though it is not something that is in my usual repertoire of handy dandy everyday ingredients. But, I was excited to give this cookbook ago because it has so many recipes. Overall, it delivered. The book is divided into course types, including: smoothies and breakfast, main meals, sides and salads, desserts and cakes, sweet treats, and teas, juices, and cocktails. This makes it pretty easy to navigate. I was happy that there were so many types of recipes. 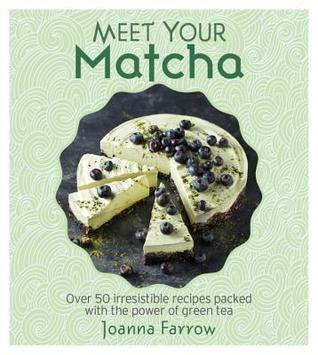 So many matcha books are either strictly tea, or they only include desserts. I appreciate that this one has main courses and salads and cocktails included in it. I wouldn't think to add matcha to a main dish, but here we are, and I'm definitely wanting to try it. The steps are easy to follow. They're short, blunt, and to the point. They're also numbered. In my opinion, this makes it a great book for a beginner to get started in cooking with tea. The author gives a lot of suggestions for dairy free and meat free options, so if you have allergies, or are vegan/vegetarian, there's still items in this book that you can enjoy too. Some of the ingredients could be a little vague, like "soft cheese", with no suggestions. I appreciate the rope you're giving me to explore, but even a personal recommendation tip would have been appreciated. It's also a bit hard to read all the ingredients because it's very busy. Listed it has cups, ounces, and grams all listed in one row. Also, there were times ingredients were listed twice with different verbiage, like caster/granulated sugar or groundnut/peanut. Counting on a conversion chart or a glossary list would have cleaned it up better. With that out of the way, some of these recipes sound absolutely delicious. Some of the ones I'm most excited to try include Thai Prawn Cakes with Matchilli Sauce, Halloumi and Wild Rice Matcha-Spiked Pilaf, and Blueberry Matcheesecake. This is one of the most beautiful cookbooks that I have read in 2017. The photographs are stunning, the recipes are delicious, and it really is like looking through an art book. The book is divided into types of dish, including: Cookies, Brownies, Cakes Muffins Cheesecakes and Meringues, Tarts Galettes Pie Quiche Cobbler and Crumble, Bread and Pastries, Ice Cream Frozen Yogurt and Sorbets, Confections and Drinks, Jams and Jellies, Base Recipes, and Ingredients, Equipment and Conversions. There's a lot of personal stories and name dropping in this book, making it clear that the author has a level of not just passion, but pride in what they do. You learn why they included the recipes and ingredients they did, and what makes them the best. In addition to the recipes, there's also a TON of extra tips and techniques in this book. There are step by step photos of how to deal with vanilla beans, there's a whole section on perfecting macarons, there's a guide to tempering chocolate. It's clear the author wants to help you succeed with their recipes! There's also a lot of storage advice, which is appreciated. As I mentioned, the photos are beautiful. A lot of the things look too beautiful to eat (I mean, not that that'd really stop me, but you know what I mean). There's an abundance of photos too, at least one per recipe though there's often more. One of the downsides is that some of the ingredients are relatively hard to find, like sakura flavored white tea leaves. You'd need to plan well in advance for some of these recipes, they don't all lend themselves to spur of the moment baking. Some of the recipes that sound the best to me include Sour Cherry and White Chocolate Macarons, Sakura Madeleines, and Isabella Grape and Kefir Ice Cream. This book is fantastic, and any home bakers looking to up their game or to more finely hone their baking techniques would find something to benefit from in this book. 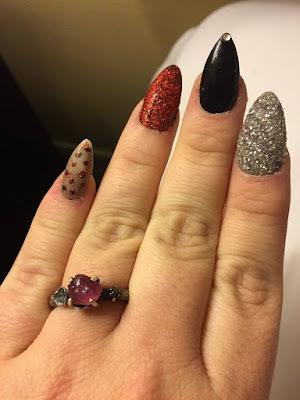 Personal Update: I Got Engaged! I'm just writing a small little life update. I don't write any of these much, because, well, I don't have that interesting of a life most of the time. I got engaged on Halloween! 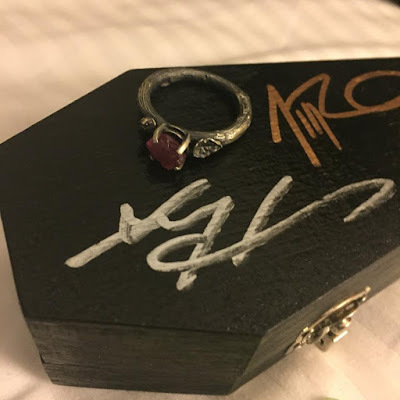 My fiancee (sounds so weird, by the way) proposed to me at the Field Museum in downtown Chicago. Specifically, in the Egypt exhibit, in the temple of Bastet. 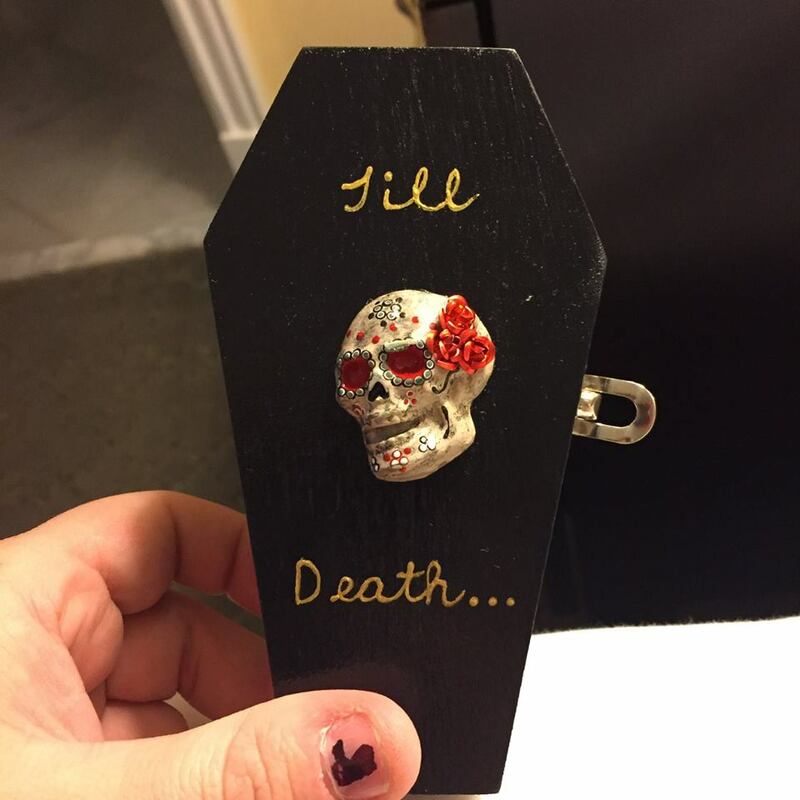 Complete with a natural gem ring, and a coffin shaped box. After our day at the museum we went to go see a concert, the always talented American Murder Song. We told the artists about the engagement, and they were kind enough to sign our ring box. It was a fantastic day. My partner- sorry, fiancee- even bought me a little glass jar of candy from Dylan's that said "#1 Wife's Candy" on it. And a Halloween cat Build-a-Bear to go with the theme. Fermented foods have taken the world by storm, largely due to their health and real food benefits. They help improve digestion, enable us to better assimilate vitamins and minerals, and strengthen the immune system. Of all fermented foods, drinks are some of the most versatile--and tasty! Think kombucha, kefir, and real ginger ale. Many of these items you can buy in the store, but making them at home is simple, economical, and even better for you. With just a few ingredients and materials, you can start brewing your own delicious beverages for your family. 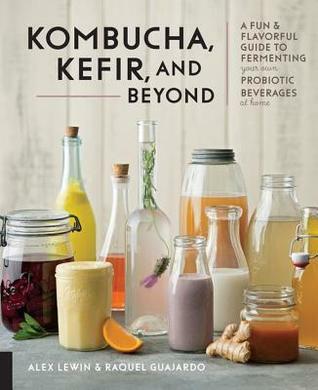 Ferment Your Drinks is packed with innovative drink recipes, from healthy homemade sodas to traditional kvass and cider, that you can make in your home kitchen and enjoy all year long! Raise a glass to good health with Ferment Your Drinks! Oh dear. I do so very much hate giving bad reviews. Let's get this over with quick, okay? There's a long history about fermented drinks and some soapbox-y type stuff about health benefits and American obesity and how these drinks are the answer. There's long, complicated, boring sections on this as well as in chemistry and beverage science. I'm not going to say I don't care, because I understand the importance of food science and knowing how your actions produce the food/drink you're making. But this was the majority of the book, which is not what I expected (or wanted). The title has "flavorful" right in the name. But unfortunately, the few recipes that were included were either very basic, or not appetizing to me personally in the least. I wasn't inspired by any new tastes. There's also some that have pretty hard to find (at least, if you're not using the internet) ingredients, like worm salt. The "resource" guide included Craigslist and Reddit. Maybe you'll have better luck with this book than I did. For me, I didn't take anything away from this. 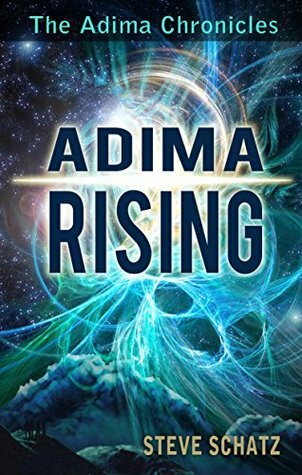 The second star is because I appreciated the effort of the science and history parts, even if it's not what I wanted from this book. From apple rose and plum and frangipane tarts, to lemon madeleines and muddle cake, trampoline bread and grissini to chocolate ganache, delizia di limone to banana, pecan, and chocolate muffins and fluffy pancakes, this incredible bake book has all the recipes you need to create something beautiful, imaginative and impressive. Whether you're making pies or cakes, bread or brunch, this stunning book is full of recipes that bakes that feeds your soul as well as your stomach. Baking became a form of therapy for Julie Jones when her mother, who taught her to bake, was diagnosed with dementia. They began baking together again, and Julie started her Instagram account as a way to document this precious time and now her delicious recipes are available for the first time as a sumptuous cookbook that would make an inspired addition to any kitchen bookshelf! Learn to cook crafted, beautifully styled pies, tarts, cakes and bakes, but be sure to cook with Julie's secret ingredient – love. I was drawn into this book immediately. Between the gorgeous cover and the delicious sounding recipes that are included in the blurb, plus the fact that the holidays are rapidly approaching, I was happy to jump into it. Overall it was worth flipping through, but not a must-have book for me. The book is divided into sections by the type of baking, including: fruit tarts and pies, cakes bakes and treats, bread and yeasted dough, chocolate, desserts, and weekend breakfast and brunch. This is a pretty standard and efficient way to collect recipes, and makes it easy to find what you're looking for. I'll start off with what I liked best about this book. The photography is fantastic. There are a LOT of photos in this book, which I love. 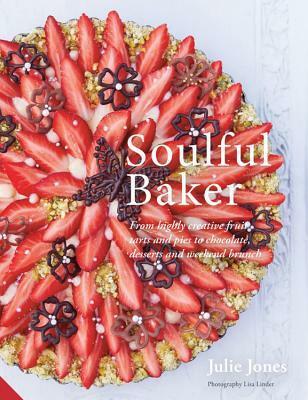 I'm a big fan of cookbooks that have photos with every recipe, and in this regard Soulful Baker delivers. And the photos that are included are very beautifully done, it's like looking at works of art. Delicious, chocolaty works of art. The decorations that the author does are stunning. While there are a lot of base recipes and recipes for things such as frostings, there are also decoration techniques in here such as crystallized flowers. These things are absolutely lovely to look at. There are also a lot of really warm, touching stories included about her family, namely her mother and her children. It's clear that the author has a connection to baking, and takes great care in making the desserts she makes as stunning as she does. But there were some not so nice parts too. As I mentioned, there's a lot of decoration techniques in here. The variety is great, but so is the complication level. Personally, most of these things are not things I would make on any given day. They are things I would toil over in order to impress my fiance's family or a special guest. This is definitely not a beginner's book on baking. When not talking about her family or mother, the tone gets a little less warm, and a bit more snobby. I know that's a weird thing to say about a cookbook, but there's a lot of things that, because of the tone, come off as humble-braggy. "When I cooked for X or Y chef" or "When I got married in Italy..." Neither of these things alone is a bad thing- Italy is beautiful and it's awesome that she got to work with such great chefs, genuinely! But it just doesn't read quite right. The formatting isn't great either, when it comes to the recipes. The ingredient lists and steps become very clunky, very quickly. Apparently this book is British. Instead of sticking with one set of terms or another, both are included. What I mean is that it will say "clingfilm (plastic wrap)", "baking tin (pan)" and biscuit (cookie). I know I'm an American but... I could have figured this out. And if it needs to be included, put a glossary or something in the back just in case. Adding multiple terms for the same thing made everything bulkier and longer. Anywho, with that out of the way, complex or not there are a ton of recipes in this book that sound absolutely mouthwatering. Some of the things that I most look forward to making attempting include the Strawberry Firework Tart with Candied Pistachios and Chocolate Flowers, Grape & Thyme Focaccia, and White Chocolate Crème Brûlée Tart. All in all this book is beautiful, but not for the casual baker. 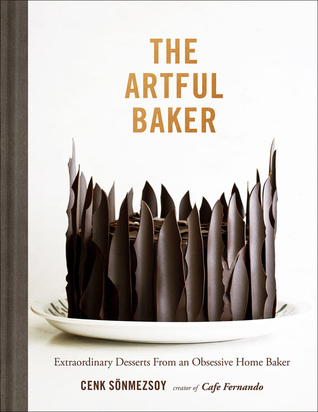 It's a great gift for those who are dedicated to baking, or for those who just love to look at beautiful food. Hey there guys and dolls. In an effort to get myself back into the habit of blogging again, I'll be celebrating the months of November and December by counting down to the holidays, namely Thanksgiving and Christmas. How will I be doing that? By reading and reviewing holiday season themed books! What exactly does that mean? Well... That's a bit loose and open. I have a very lazy definition of what "holiday themed" means. Some books will be set in the fall or winter time. Some books will explicitly be about a specific holiday, like Christmas or New Years. There will also be a lot of cookbook recipes because, well, I cook like crazy during the November-January rush, and I know I can't be the only one. So I hope they help you out this season! So pull a chair up by the fire, pour yourself a cup of chai or cocoa, and let's fall into winter together. Written and photographed by the team behind Slay to Gourmet, a Minneapolis-based catering service specializing in wild game, Venison takes readers through author, chef, and outdoorsman Jonathon Wipfli's technique for quickly and efficiently processing a deer, as well as a raft of contemporary recipes for venison dishes and accompanying sides. Wipfli describes and illustrates the breakdown of a deer, focusing on the fronts, middles, and rears before proceeding to more specific cuts like sirloins, shanks, ribs, loins, roasts, sausage scraps, and more. Whether the reader has been hunting for two years or for thirty, there’s a good chance they’ve never approached processing by muscle groups. Wipfli demystifies them and in the process shows the value of individual cuts and how to maximize one's quarry. More than 50 recipes for venison and accompanying accoutrements and sides are beutifully photographed and presented. The result is a venison book like no other, sure to appeal to those new hunters as well as veteran outdoorspeople. When I saw this book, I knew I had to read it. My fiance absolutely LOVES venison. It's her favorite thing ever and is super nostalgic for her, because her grandfather used to hunt & prepare it when she was a kid. And, I try to adapt my recipes to include the things she loves; but I've never prepared venison before. 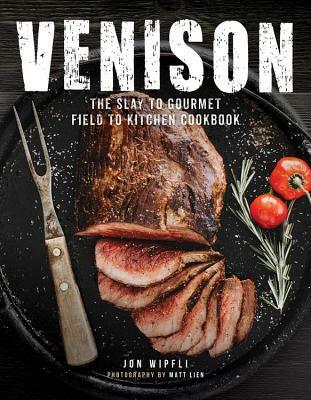 Wipfli's Venison is a very approachable first look at all things deer to the heart. The book is divided into three sections. The first part is the hunt, and it goes into how one catches a deer and narrations about hunting. It was interesting, since I'm not even outdoorsy, let alone a huntress. The second part is the butchery. As you probably guessed, it's about how to butcher a deer. Like, all of it. I honestly wasn't really prepared for the graphic photos of a whole deer, but, that's what venison is so I don't know why I was caught off guard. But this portion of the book is very well written. It includes photos of each and every step, as well as descriptions on what to do. It goes pretty far in depth, but it is written in really basic terms so it's easy to understand even if you're not chunking out meat as part of your regular daily routine. The third part of this book is the recipes: shareables and entrees. Though this section is the last, it is certainly not the least. By far, this is the largest section of the three- you're getting more recipes than any other content included in the book. The recipes have short, easy to follow steps. When it came to some harder techniques, the book again included step by step photos to help you through the process. I really appreciate this as someone who just isn't that familiar with the meat. A few of the recipes that sound the best include venison meatballs with cherry BBQ sauce and venison and pineapple chili. All in all, I think this is a really good cookbook, especially for those who are either intimidated or inexperienced with cooking venison. I'd for sure buy a copy of this for my fiance. I also think it'd make a good gift for a hunter or a midwesterner (I don't know about other places in the US but I know here in the Midwest we love us some venison). 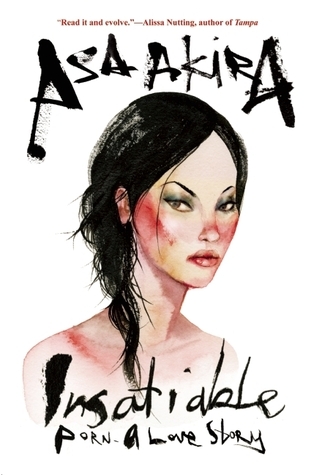 It sort of goes without saying, but if you're squeamish about meat or animals, this might not be the book for you. Is it freezing by you too? Ugh. I love winter but it's only November! Spotlight, Excerpt, & Giveaway: Highland Dragon Rebel by Isabel Cooper! off the tree, which, as in many villages, grew by the gate. his fingers would go through it. In the sun at midday, it was hard to see, but he also thought it glowed. closed eyelids and, in another heartbeat, vanished. His skin felt untouched. whole world through such entirely different eyes. flexed them, and the colors shifted accordingly. diamonds set onto the crisp blue that washed over her skin. same pattern of lights glittered in the shadow. time to sit and watch her. 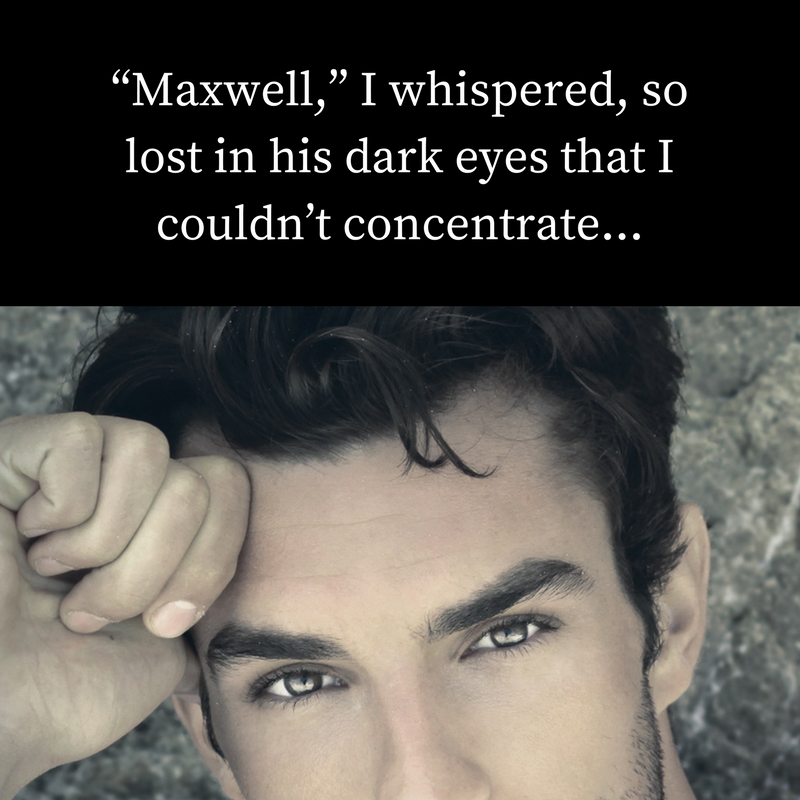 Spotlight & Giveaway: Offsetting Penalties by Ally Mathews! 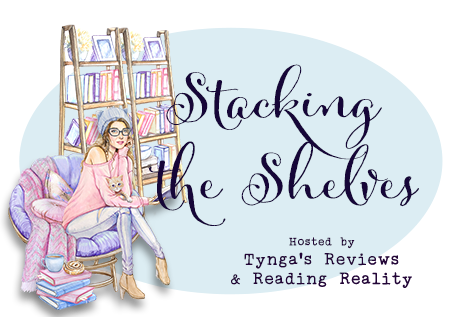 Release Week Blitz & Giveaway: The November Girl by Lydia Kang! 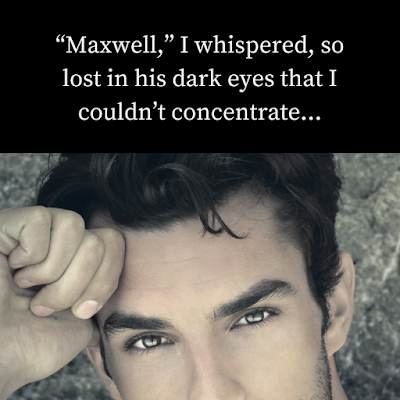 Release Week Blitz & Giveaway: Haven by Mary Lindsey!